SYNOPSIS: Much sought-after drama based on the real-life story as experienced by author/teacher Pat Conroy. 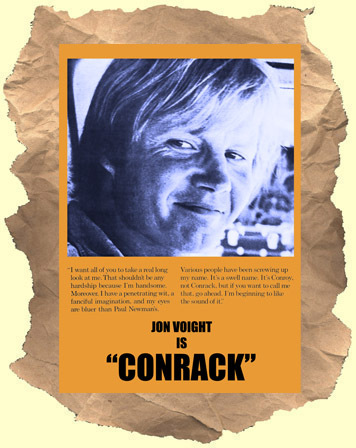 Jon Voight stars as the likable, sympathetic, Conroy. The film starts with his first day teaching a group of neglected, illiterate, black children living in isolation on Duafuskie Island (South Carolina). They lack not only the basic skills of reading, writing and arithmetic but also life skills. Conroy recognizes the unique situation and uses some unorthodox methods to get through to them. Considered one of the best films ever made about the teaching profession it is a surprisingly moving portrait. Jon Voight is great as the idealistic new teacher with a tough challenge before him. Solid supporting help from Hume Cronyn and Paul Winfield (as a wild local who befriends Conroy). And the non-Hollywood child actors seem like the real deal. Highly recommended for teachers and students alike this PG-rated film is safe for all ages. Based on the book "The Water is Wide" by Pat Conroy. (Never before released on dvd! ).